Aam Aadmi Party is very seriously considering contesting next Assembly elections in Rajasthan and also expand its presence in Madhya Pradesh, Chhattisgarh and Gujarat. “In Rajasthan, people are disappointed with BJP rule and they are not willing to trust Congress. After every Assembly elections, the face changes but governance remains the same. next Assembly elections in Rajasthan," he said. leaders of other parties if they have no record of crime or allegations of corruption against them. Hitting out at Prime Minister Narendra Modi, he claimed, “People suffered badly after demonetisation but the Prime Minister did not care." “Those in possession of blackmoney got their money exchanged from backdoors, while the aam aadmi, like the farmers and the laboures, had to stand in queues to withdraw their own hard earned money," Sisodia said. 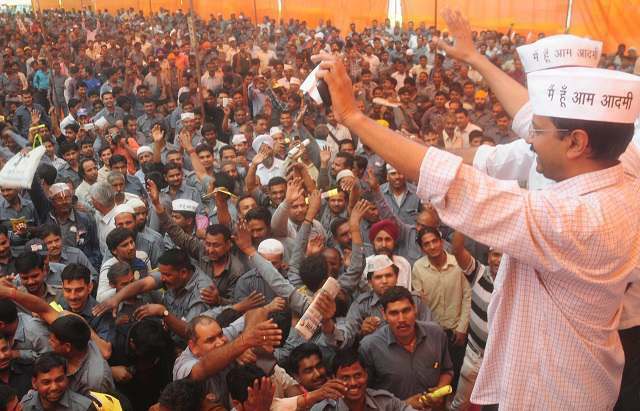 He also exuded confidence that AAP will perform well in the Assembly elections in Punjab and Goa. Sisodia, who is the in-charge of the party affairs in Rajasthan, claimed the AAP government in Delhi has accelerated development, reduced power tariff and improved the education sector. During his visit to the city, he also held a meeting with the party leaders and workers here.